Fergus McAlpine (born 1994 in Newcastle, UK) started playing bassoon the age of 12 and at 15 he started studying at Chetham’s School of Music, Manchester. 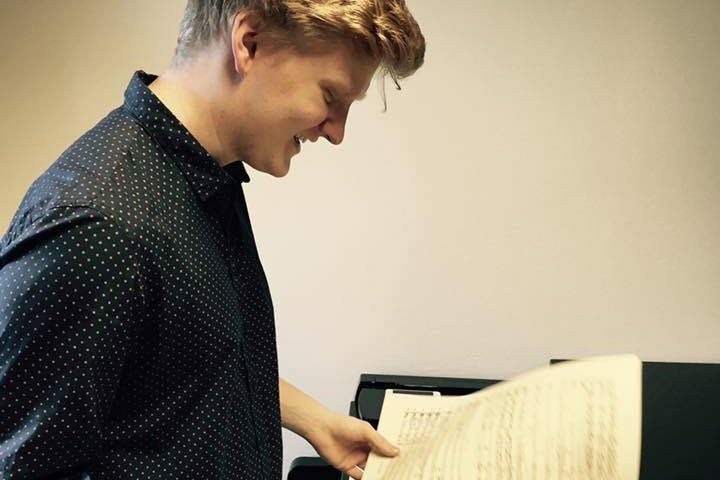 By the time he graduated at 18, he was the youngest soloist to have performed for the Worshipful Company of Musicians and was solo bassoon in the National Youth Orchestra GB. He has played at the Royal Wigmore Hall, 3 times at the BBC Proms and has had worked with artists such as Vladimir Jurowski, John Wilson, Kristian Järvi, Simone Young and Dame Kiri Te Kanawa. He has even performed for the British Royal Family. After leaving school, he spent one year at the Barratt Due and afterwards started the conducting bachelor at Norges Musikkhøgskole with Ole Kristian Ruud and Sigmund Thorp, as well as continuing his bassoon studies with Eirik Birkeland and Dag Jensen. Now in his third year at NMH, Fergus has had masterclasses with Neeme and Paavo Järvi, Vasily Petrenko, Juanjo Mena, Lior Shambadal, Michael Schønwandt and Guerassim Voronkov. He has also worked with the Pärnu Festival Academy Symphony Orchestra, Manchester Camerata, Minsk Chamber Orchestra, North Czech Philharmonic Orchestra and the North Bohemian Opera. Fergus is the founder and music director of the Masque Chamber Opera, in which he has performed Britten’s “The Turn of the Screw” and “Les Illuminations” with students at NMH and Barratt Due.